For many of us, there comes a time in life when we begin to see our parents struggling, be it physical, emotional or some combination thereof, with once simple, everyday tasks. This can be especially challenging when the ability to manage one’s own finances comes into question, particularly as income becomes more fixed as we get older. Convincing a parent to allow you “in” to their financial world, to help them effectively manage their assets, can be difficult, particularly if they haven’t come to terms with the notion of needing help. One approach you may want to consider is to begin discussing with them your own financial concerns about the future, not to raise their level of worry, but to ease them into the topic in a manner that will often have them sharing insight into their own financial situation and related thoughts. As for their “worries” about whether they’ll be able to support themselves the rest of their lives, such angst in later years often has little to do with their level of wealth and everything to do with getting older. 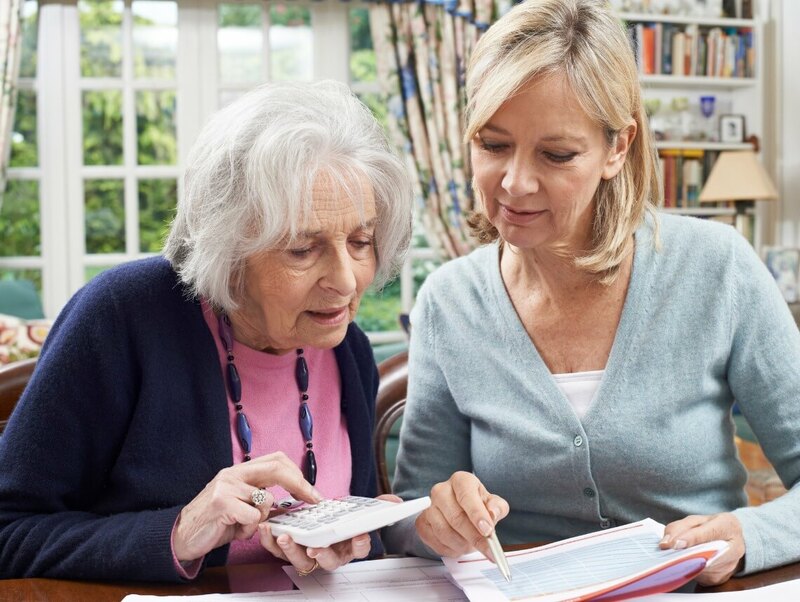 Once you establish a dialogue and comfort level on the topic with your parent(s), it’s important to gain a thorough understanding of where things stand for them financially today, before being able to advise, or seek advice, to help them plan for tomorrow. During this review and pre-planning stage, and for more strategic long-term planning, it’s imperative to seek out the counsel of a qualified financial advisor to ensure that you’re serving your parent(s)’ best interests. With a better understanding of your parent(s)’ financial situation, your qualified financial advisor will be able to assist you and them in ensuring a prudent course of action for the future. If more general information and resources would be helpful to your parent(s), the National Association of Area Agencies on Aging (n4A) is a national organization with offices throughout the country that can provide the answers you need or point you in the right direction. If you cannot find a local office, call their Washington DC headquarters at (202) 872-0888. As post-retirement income becomes more fixed, it’s important to work with a qualified financial advisor to create a budget that works for you or your loved one. Even with trust assets available, there is understandable reluctance to touch principal and risk “having enough to live on” or “having anything left for a beneficiary.” Separating fixed costs from variable costs is a good starting point. But what next? The difference in monthly costs can be significant. The desire to maintain total independence might be outweighed by the need to create an easier, more fulfilling and often less expensive quality of life. Coupons and other discounts are there for the taking, even at the finest restaurants, if you take the time to look. If your timing is now more flexible, consider off-peak travel to save considerably. Smart use of secondary health insurance to your Medicare coverage can greatly reduce your medical expenses. Long-Term Care insurance as a complement to your life insurance coverage can add comfort to your future needs while reducing your health care costs.